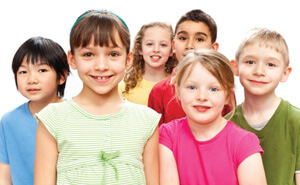 At Janower & Monkman Dentistry, we aim to make your child’s visit as enjoyable as possible. We realize that the dental office isn’t the first place a child wants to go, but we strive to make our office a place your child can feel safe and receive quality dental care. First Visit: Bring your child along to watch mom and dad’s cleaning as early as you wish! Make them comfortable in the office before they even sit in the chair. At their first “real” visit, our highly trained hygienists count and polish their teeth in a laid back environment. They even get to pick out their own new character tooth brush! We also can discuss eating habits, fluoride and other ways to protect their new developing dentition.